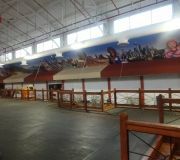 The newly renovated food Pavilion at the NYS Fair, in Syracuse was designed with large graphics as a key design feature. 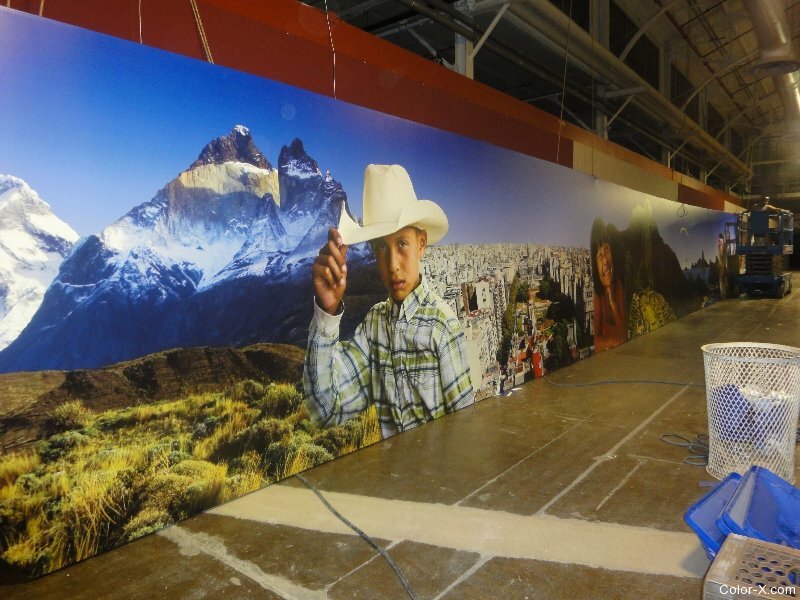 The goal was to have super high-resolution images of children of all nations representing the multi culture of foods at the International Pavilion. 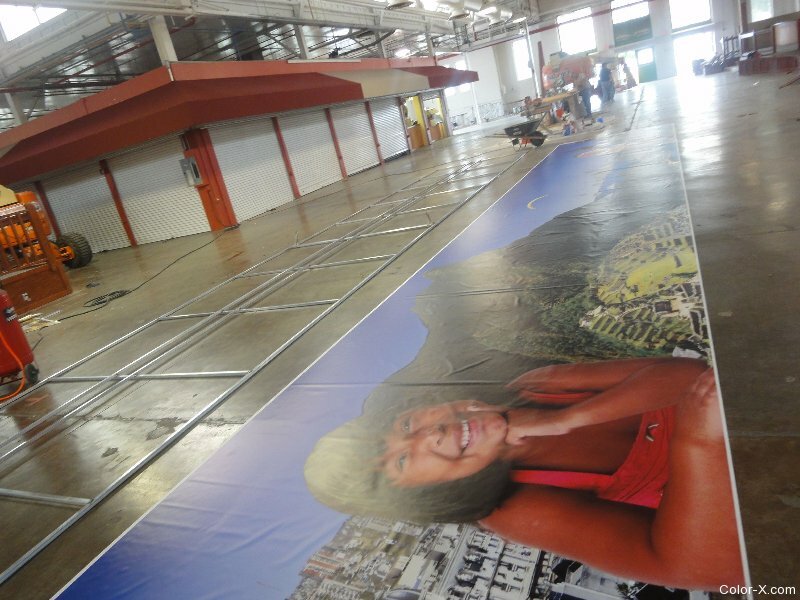 Large format graphics were to be installed above canopies and in exact position and angles. 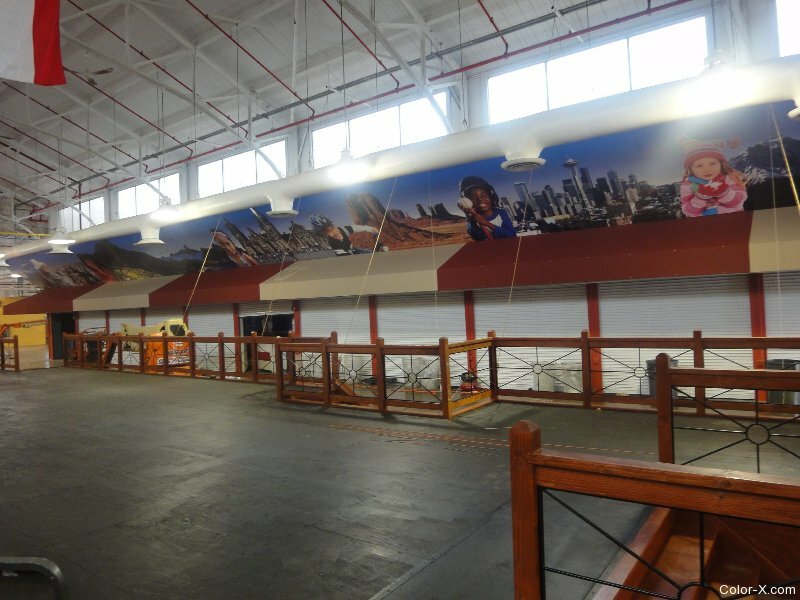 The goal was to produce and install in as few seamed pieces of art as possible. Several site surveys were required for precise measurements and to engineer the best custom solution that would work within the schedule and budget constraints. With over 10,000 sq. ft. of graphics to fill the Pavilion, the client wanted the graphics to flow and be continuous on all 4 sides of the food court. 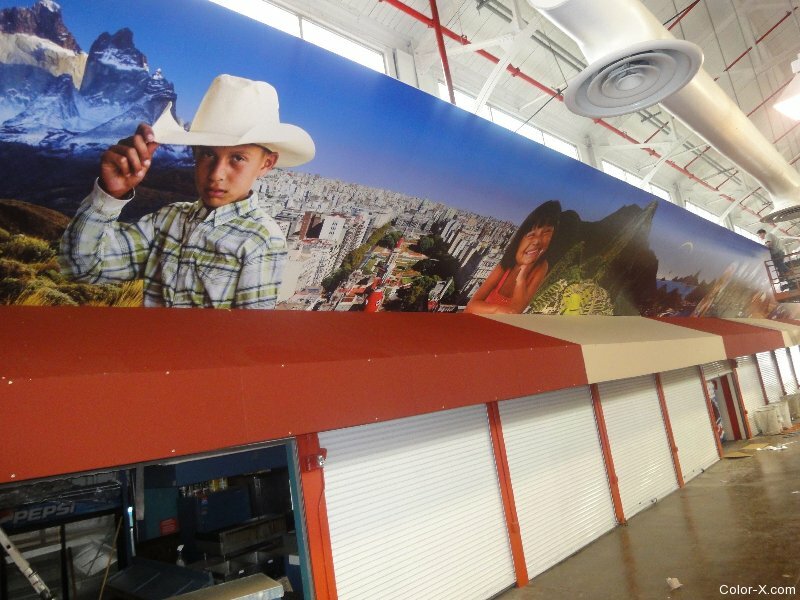 Color X printed the images high-resolution inkjet on banner vinyl material. 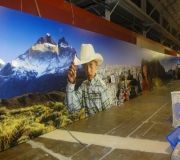 Images were printed continuous 8’ ht. x sections of 100’-175’. Custom aluminum stretch frames were fabricated at Color X and then transported and welded on site. 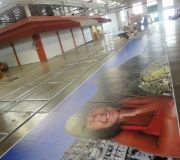 Printed vinyl images were laid out and stretched and wrapped around frame to create tremendous solid framed art ready for installation. The weight of structures made installing above canopies, 20’ in the air into exact positions challenging. Using a combination of lifts, ropes, to hoist into position, and a lot of manpower, the art was carefully guided and bolted into exact positioning. All production was completed in time for the opening of the Fair. 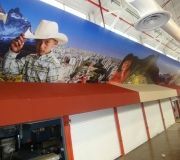 The large format graphics transformed this from concrete floor and metal rolling gates to a warm and exciting space, which captured the International feel of the Pavilion.